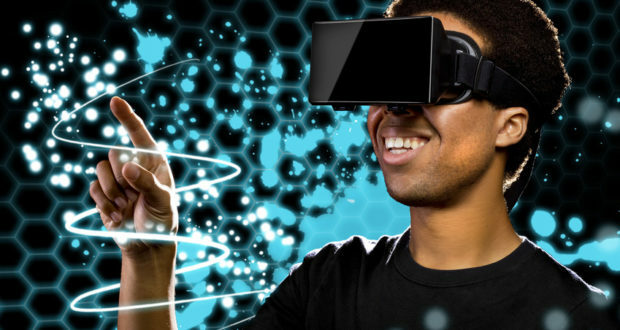 If you are familiar with the news of the gaming world and recent technological advancements, then you have definitely heard or read something about augmented reality (AR). This is the term that has driven the attention of tech pros and ordinary customers by its specific features and unique experience it can provide. To describe the essence of the notion in simple words, augmented reality is the technology that provides an enhanced real life view by means of implementing the elements or graphics generated by the computer. These elements are otherwise called “virtual components”. They can be related to images, 3D objects, locations or the combinations of these elements. As a result, a user gets an extraordinary (augmented) perception of the reality, which ensures unique experience. AR helps drive the attention of users to the products and services the companies offer nowadays. It helps get the clients engaged into the activities they offer. To use AR applications, no special media tools are needed. This is an affordable and functional alternative to the majority of existing media platforms. AR apps are developed with regard to the growing needs of the market, which makes it possible to adhere to the needs of the target audience. It is a widespread misconception that augmented reality can be applied in the gaming industry only. Although, this sphere of application is one of the most popular and profitable these days, there are other areas, where the AR apps can be a real found. Augmented reality can have practical application in marketing, for example. By driving the attention of customers to the brand content, it helps increase the amount of sales and profits. This is achieved through the implementation of specific brand content, such as TV ads, promo videos, audio clips and what not. The next sphere of application is automotive industry. You cannot even imagine how functional and essential the AR in-built car dashboards are! They make it possible for the drivers to learn travel and tech data without distracting from the road. This can be done on the go, which is very convenient and contributes to the enhanced safety. AR apps can be developed to provide visual instructions on the timely car maintenance. When it comes to business sphere, AR is also of great help. The technology is often applied to develop special bank cards that provide the exhaustive account information a client may need any time of the day. AR applications are also used to find the nearest banks and financial institutions. This helps save clients’ time and effort. Augmented reality is also applied in the sphere of education. This is, by the way, one of those areas, where the technology should be extensively practiced. It helps attract the attention of pupils and students and contributes to the better understanding of the material. There are plenty of methods to apply the technology in the process of education, even though, AR is not frequently applied in the sphere yet. Finally, AR is used in tourism. It makes it possible to develop virtual tours in different locations, providing exhaustive information tourists may need. Likewise, it is possible to develop AR apps in order to organize virtual exhibitions in galleries and museums around the world.